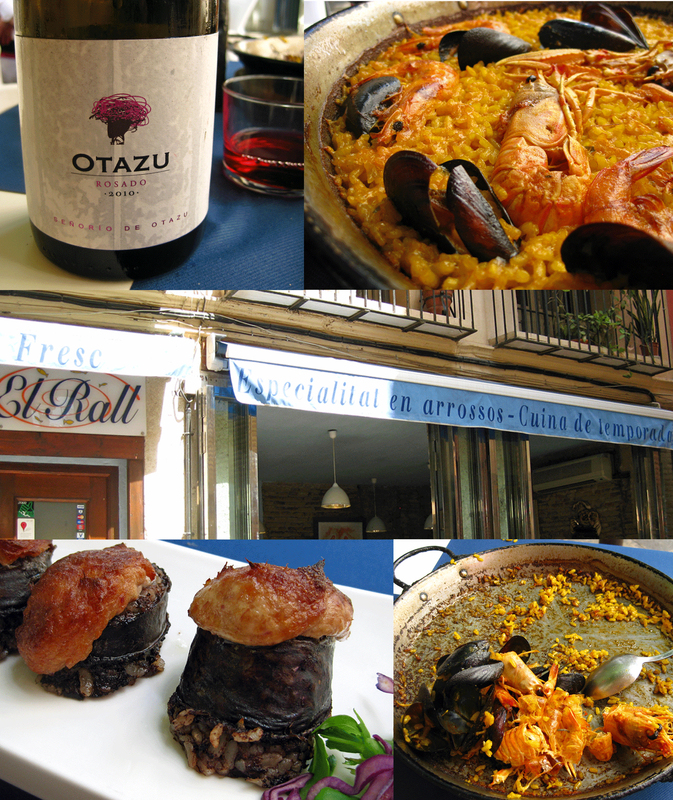 Paella and Valencia – Hot! Our first stop in Spain took us to Valencia, Spain’s third largest city. 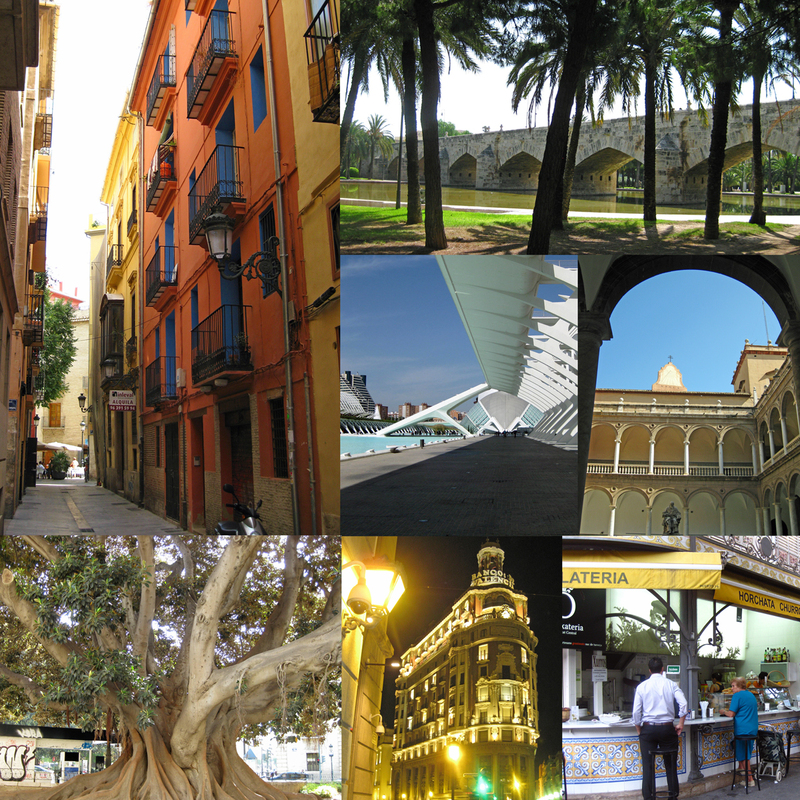 Few of the people we surveyed in preparation for our trip had much to say about Valencia. Friends who have traveled to Spain focus their adoration on either of Spain’s two urban hubs – Madrid and Barcelona. Too bad! We loved our time in Valencia and would recommend it to anyone planning to spend time along Spain’s Mediterranean coast. 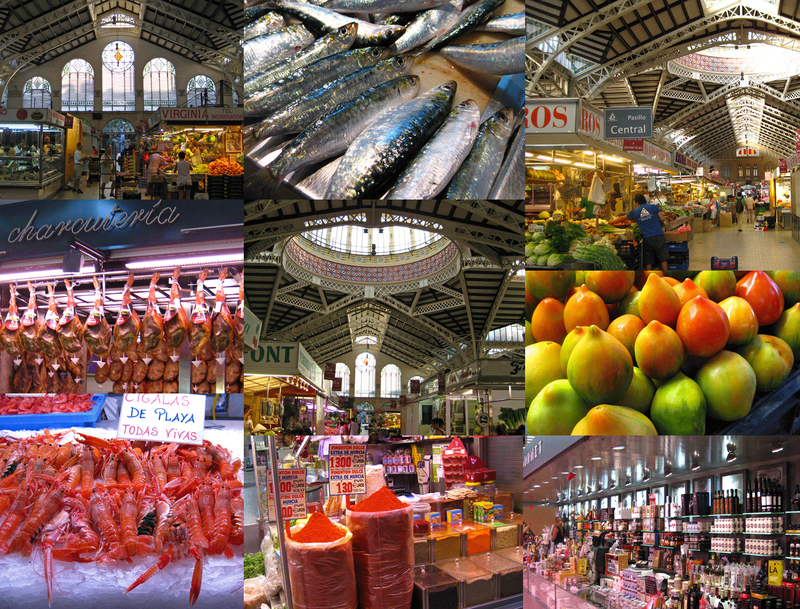 The biggest food market in Spain. So much food, so little time. The cab ride from the train station to the hotel was quick. We checked in, unloaded our things and headed out to grab a bite to eat in the Placa de la Reina. First stop, the pintxos bar La Taberna de la Reina on the square where we found all kinds of delicious bites of meat, fish and cheese atop slices of baguette. These ubiquitous morsels can be found all over Spain, and while the main event was yet to come in San Sebastian, we thought it worth a visit to get a sense of how it works before we find ourselves in the serious pintxos bars later in our journey (more on pintxos to come). Feeling sated, we wandered the ancient narrow streets in Valencia’s old city center around the cathedral where we found innumerable cafes, tourist trinkets, and massive colorful graffiti-covered stone walls. All that walking worked up an appetite so we scouted about to find our next bite and happened upon Boatella Tapas, a tapas bar and cerveceria across the street from the Mercado Central, Valencia’s fresh food hub and one of the largest food markets in Europe. The tiny corner bar has a small counter and seating area indoors and a few tables set out on the sidewalk. Atop the bar inside is an array of platters with piles of various fish, some fried, some roasted, all incredibly fresh and delicious. Our eyes were bigger than our stomachs and Steve’s Spanish language skills were just good enough to get the servers attention but not quite good enough to explain that we simply wanted a mixed plate of various items from the bar. The “medium” plate of food he thought he was ordering ended up being several medium sized plates of each of the things he pointed at on the bar. 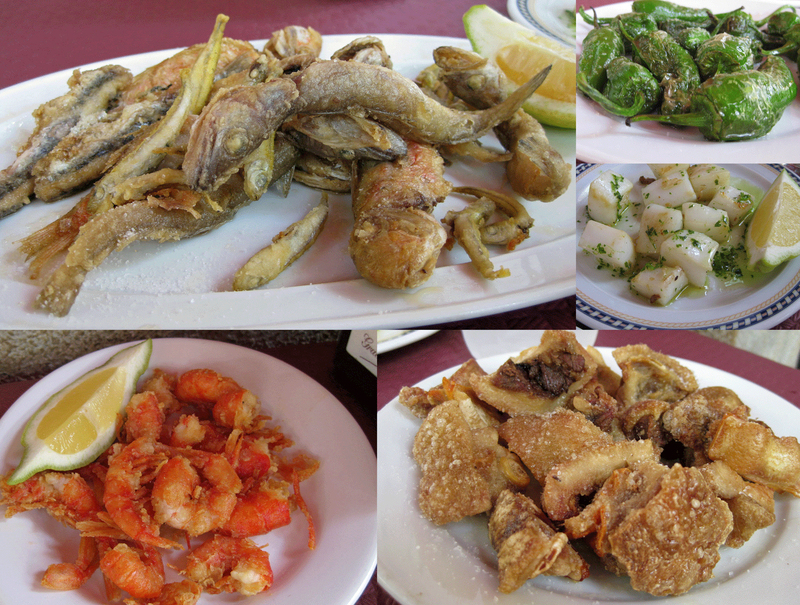 We had a big plate of fried whole small fish, a plate of grilled squid salad, a plate of fried shrimp in their shells, a full plate of padron peppers and a nice big plate of chicharones. There was no way we were going to eat it all! Valencia has the best paella in Spain. Paella is a Valencian specialty. The rice most commonly used for paella, Bomba rice, grows in rice paddies near Valencia and the sea provides all the delicious squid, muscles and langoustines needed for a traditional pan of saffron scented rice. We had the best paella of our visit at Restaurant El Rall, a great little place tucked away in one of Valencia’s many medieval squares. While we waited for our paella for two, we noshed on a favorite Spanish blood sausage that had been topped with a dollop of pureed ham and cheese then toasted under the broiler. They were delicious. The paella was exquisite and we were careful to delicately scrape our servings from the top, avoiding disturbing the bottom of the pan so that the rice could continue to cook and ultimately crisp up. That crunchy, brown rice at the end is the best part of the paella. Ours was perfect! The best tapas in Valencia. It was worth the bike ride to find this place. 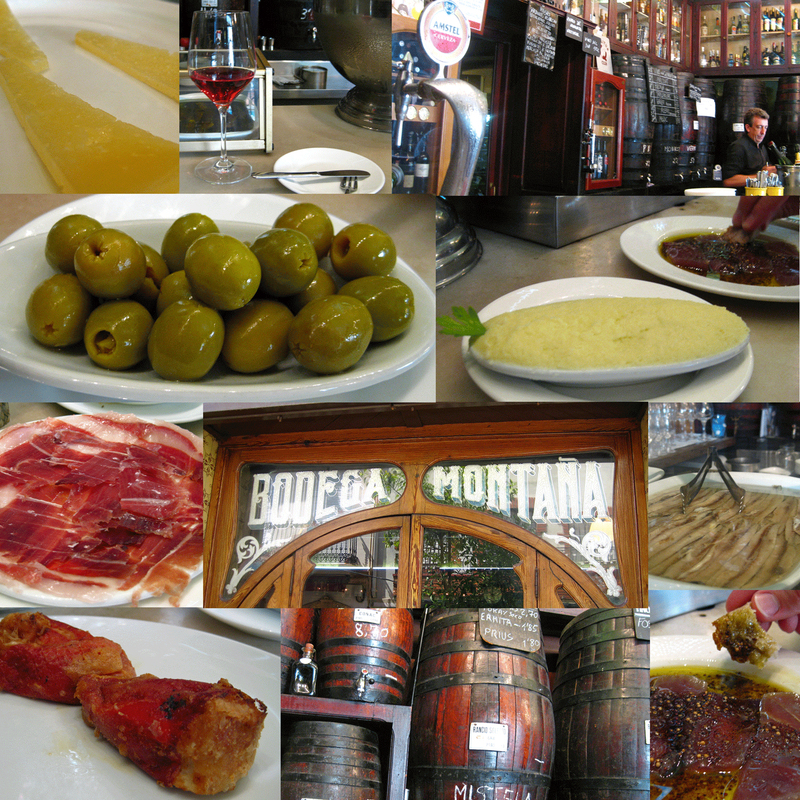 Perhaps our most memorable meal in Valencia, lunch at Bodega Montana, was satisfying in every way. The bodega has a great atmosphere with its marble bar and several barrels lining the walls from which wine and sherry is dispensed. We stuffed ourselves with an assortment of perfectly executed tapas. Standouts included the marinated tuna, the anchovy stuffed green olives, the bacalao (salted cod) potato puree and the fried stuffed red peppers. But that wasn’t enough. We also snacked on slices of Manchego cheese and thin slices of Iberico ham – perhaps the best we’ve ever tasted. As with many of our meals in Spain, we washed it all down with glasses of rosé and beer. Hot chocolate and churros. A must try when in Spain. We took a break from traditional Spanish food on our last night in Valencia, settling instead for Italian at La Papardella, just a couple of blocks off the placa near the cathedral. But this was not our last meal in Valencia. Before cabbing to the train station on departure day, we got up at 6 a.m. and headed over to the L’Orxateria next to the main entrance of the Mercat for churros and chocolate. The outdoor temperature at that hour was just cool enough to make this decadent breakfast of fried pastry and thick hot chocolate the perfect sendoff. Thanks, Annie! We wish they’d deliver as well. But making your own is a lot of fun. Stay tuned … we’ll be publishing our own recipe soon!